Gregg R. Eure, M.D. offers expertise in all aspects of adult urology. He has special interest in prostate disease, erectile dysfunction, stone disease, no-scalpel vasectomy, and Men’s Health. Dr. Eure has gained an international reputation in the treatment of Benign Prostate Hyperplasia (BPH) or enlarged prostate. Dr. Eure practices general urology with an interest in the treatment of enlarged prostate (BPH) including minimally invasive and laser techniques and men’s health issues including prostate cancer and erectile dysfunction. He is a recognized international expert in use of the GreenLight Laser Vaporization of the prostate and the Prostatic Urethral Lift or UroLift for BPH and has had the opportunity to teach and lecture in over thirty states and thirteen countries. Dr. Eure serves on an International Medical Educational Advisory Board and is involved with laser simulator training for urologists. He has also been involved with developing UroLift, a minimally invasive treatment for BPH. He is active in clinical research and has been an investigator in numerous clinical trials. He serves as the research chairman for the Urology of Virginia Research Department. He has been a leader in investigating minimally invasive treatments for BPH. He also serves as a consultant for several medical equipment companies. He has served on numerous advisory and editorial boards. Dr. Eure has written many articles and book chapters. He is often invited to lecture on various topics in urology. His peers have recognized Dr. Eure as a “Top Doc” in Coastal Virginia Magazine. He has been honored multiple times as a “Top Doc” in the magazine including as a “Top Doc for Men”. 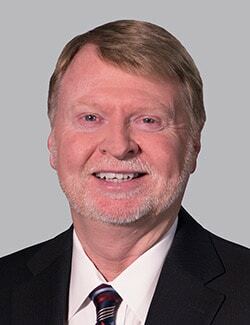 He primarily practices at Sentara Virginia Beach General Hospital where he has served on many hospital committees, including the cancer committee and surgical executive committee. He helped found the local chapter of the prostate cancer support group, Man to Man. He continues to serve as a physician leader, and he is involved in the management of his group, Urology of Virginia. Gregg R. Eure, M.D. is board certified in urology by the American Board of Urology. He is also a fellow of the American College of Surgeons. The American Urologic Association honored Dr. Eure by selecting him into the Young Urologist’s Leadership Program. He also served on the board of the Mid-Atlantic Section of the AUA.